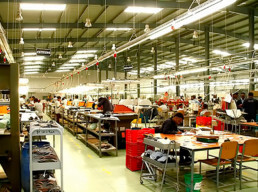 We offer cost effective, end to end solutions for making quality footwear, starting from development to production and delivery to your warehouse. A Motivated, value priced and high quality workforce. An Abundance of raw materials including world class sheep and cow leathers.